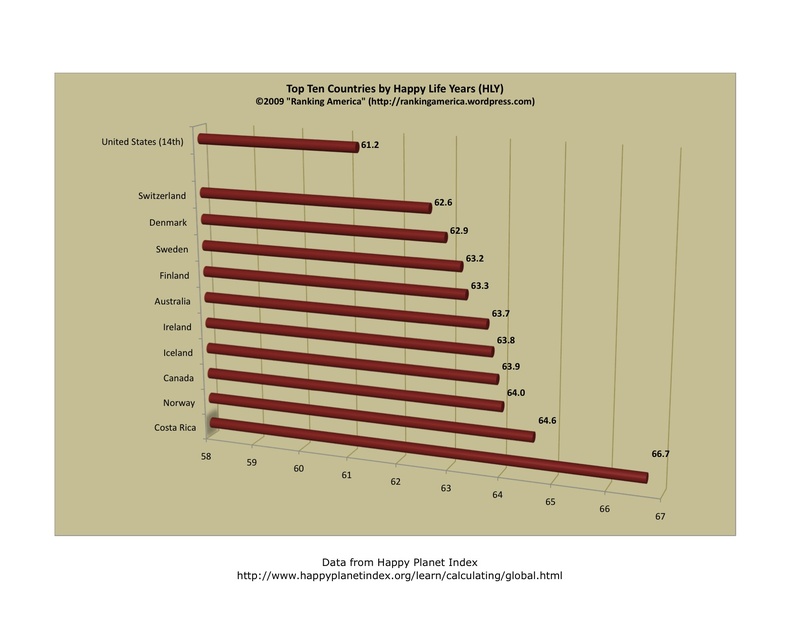 According to the Happy Planet Index, Americans have 61.2 “happy life years” (HLY), which makes the United States tied for thirteenth with Spain in that category. 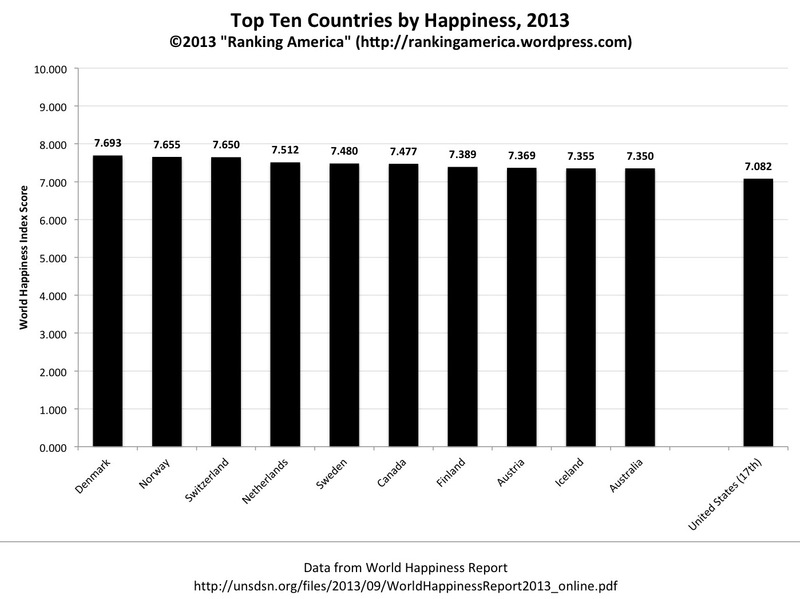 Costa Rica ranks first, with an HLY score of 66.7. 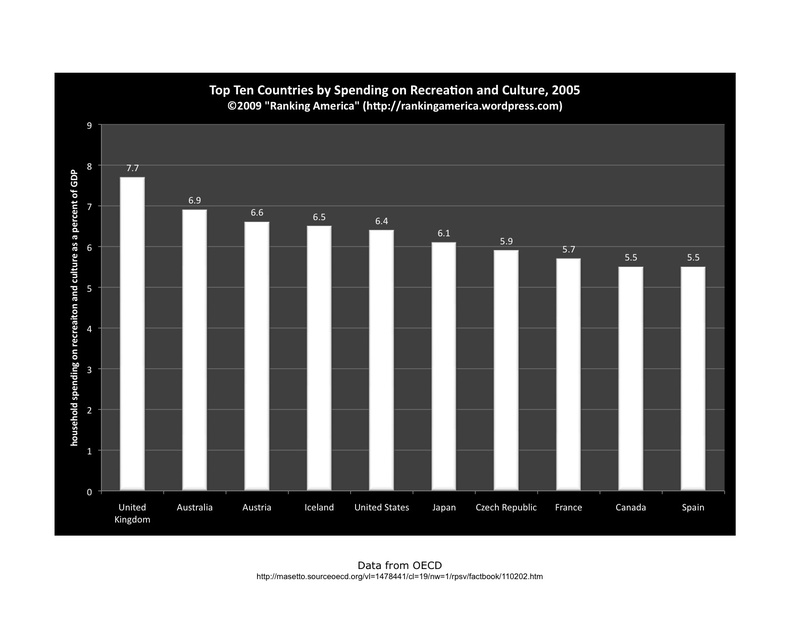 According to the OECD, in 2005 American household spending on recreation and culture equaled 6.4% of the GDP, which made the United States rank fifth out of twenty six nations in that category. 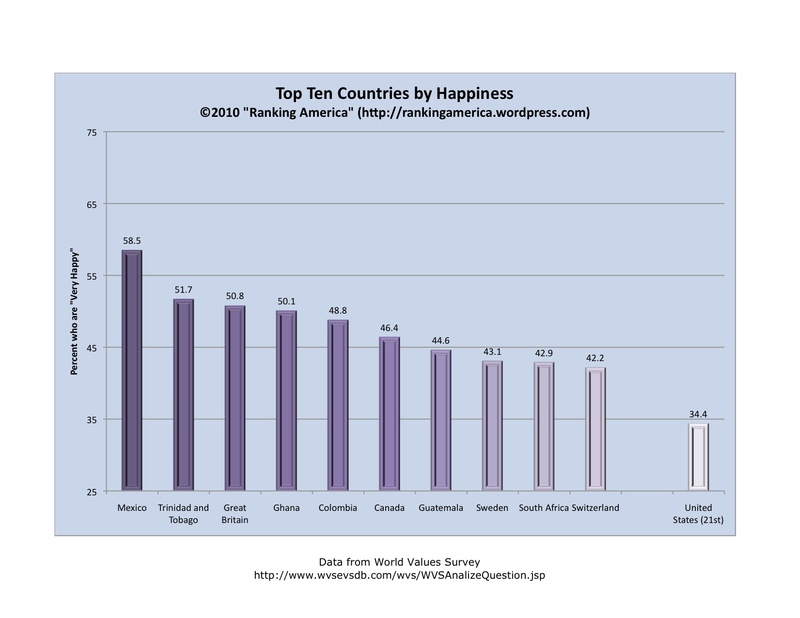 The United Kingdom ranked first, with household spending equaling 7.7% of the GDP. According to the website divorcemag.com, in 2002, 45.8% of marriages in the United States end in divorce, which makes the United States rank seventh in that category. 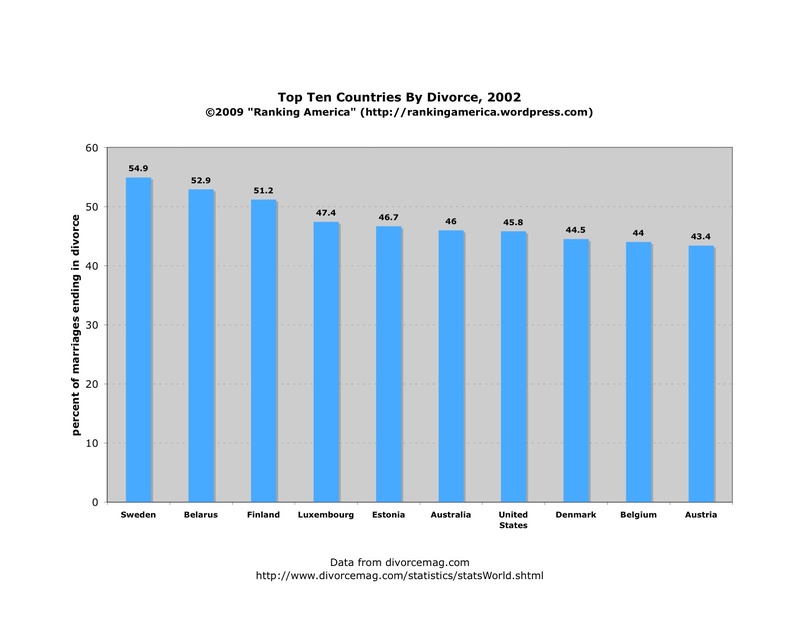 Sweden ranks first, with 54.9% of marriages ending in divorce.